Monday 2 April saw people across the globe come together to celebrate World Autism Awareness Day (WAAD) and raise awareness of the condition. Among those tackling the subject on the airwaves and on the pages of newspapers, were many NAS Ambassadors and Champions. Here's how you got involved - thanks everyone who took part! 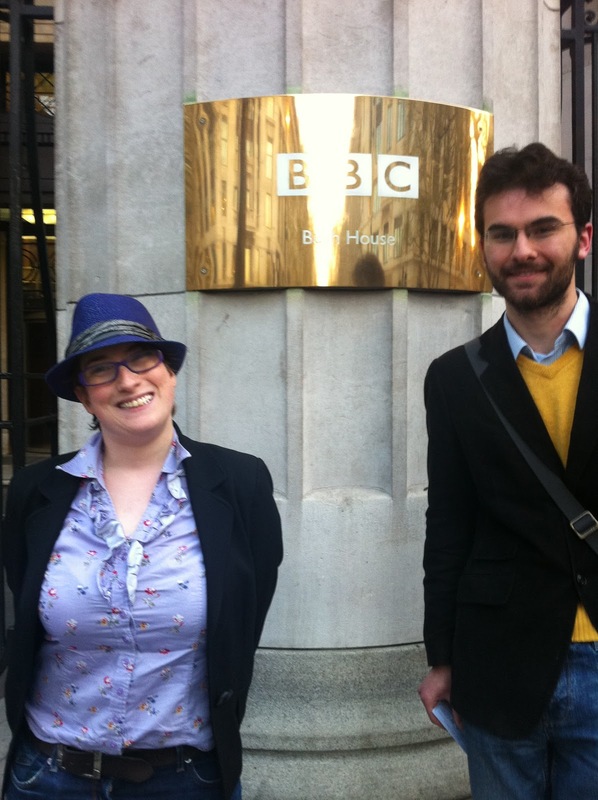 AAN Ambassador Robyn Steward and Jonathan Peckover, the eldest son of Ambassadors Sepi and David, joined a trans-atlantic panel discussion on the BBC World Service. The four-strong panel of adults with autism, including people from the US, discussed how autism affects their daily lives and gave advice for listeners in similar situations. It was a really positive discussion and really showed listeners what a valuable contribution people with autism can and do make to the global society. Well done Robyn and Jonathan! Listen here. AAN Ambassador, Sophie Walker, was filmed at home with her daughter, Grace, for a special WAAD feature for ITV Daybreak. Sophie talked about having a daughter with Asperger syndrome and how the condition can affect girls differently from boys. Sophie also talked about writing all about hers and Grace's experiences in a new book, which is out later this year. Watch Sophie on Daybreak (about 1 hour 45 minutes into the programme). ... Oh, and lets all keep our fingers crossed for Sophie, who takes on the London Marathon later this month! These are just a couple of the many discussions that took place on WAAD on local radio stations all across the UK. Lots and lots of people got involved by sending the template letter we prepared about WAAD to their local papers. So far we know that around 50 of you got involved by sending letters to your papers. There's been some great coverage and we are expecting to see more over the next few days. Thanks again to everyone who took part on Monday and over the weekend, and a belated happy WAAD to you all!